December 13th, 2016 - Happy Holidays Titans! Happy Holidays to all the members of the Titans family! Use this time to recharge, recoup and spend quality time with friends and family, but be ready to get going again once we turn over the calendars to 2017. Remember to check the calendar regularly particularly during the holiday season. Families from both teams enjoyed a fun team dinner and, not having had enough of the water, the kids hung out at the hotel pool Saturday evening. Thank you to Blake and Yorek for supportive and enthusiastic coaching and to Marie for your endless efforts as manager. With over 50 players participating in the Gatineau Cup from November 11-13th, our Titans club was well represented... thanks to all the efforts from players and parents! We had 2 U14 Boys teams, one U14 Girls team and 2 U12 Coed teams. Many newer players were participating in their first tournament and learned a great deal from more veteran players. Every team played hard and had great moments. Congratulations to all of our Titans! Thanks to our coaches Blake, Owen, Rachel and Mihailo who spent their weekend encouraging our players to learn new skills, be positive and have fun! Mouth guards are a very important piece of protective equipment for water polo players. When produced by an experienced dentist, mouth guards not only help prevent potential dental injuries, they also play a very important role in reducing the risk of concussions. The Titans strongly encourage all water polo players to wear a mouth guard whenever they participate in a game. In an effort to promote sport safety, Dr. Tanya Bracanovich, owner of the Sparks Dental Clinic, will offer two clinics where dental imprints will be taken and custom mouth guards produced. The cost per mouth guard has been set at $75, which compares very favourably against the $150-$200 that most dentists would typically charge. Tanya agreed to cover 100% of the costs (materials and staff) to produce the mouth guards. As a result, every dollar collected for the mouth guards will be given back to the Titans and will be applied against this season’s Titans fundraising objective. A giant thank you to Tanya and her team for this great initiative! If you have any questions regarding the need for mouth guards for your athlete(s), talk to your coaches. This past weekend (Nov 4-6th) the Titans sent a boys and a girls team to Etobicoke, to participate in the Mavericks Cup. This was their first opportunity of the season to experience play against other clubs, with many players participating in their first U14 games. With the tournament being a Provincial qualifier, the level of competition was very high and both of our teams had to bring their "A" games. The Girls' team had a great time gaining valuable experience which they will be able to put to good use at upcoming tournaments. The Boys' team won their inaugural game, then won their last two to finish in fifth place in a solid field. We look forward to the rest of the season and hope for more of the same kind of efforts from our athletes! Congratulations to both teams and a huge thanks to both Coach Blake and Jason! A huge thanks and congratulations to all the Ottawa Titans volunteers who once again made our Titans Green Team initiative a huge success! More than 50 volunteers represented the Titans in making sure the entire finish line area was kept neat and tidy leaving little sign after the race that 23,000 runners had been through there. Well done Team! Special thanks to Sarah Parks, who is an Ottawa Titans parent for providing the inspiring write-up. Congratulations to former Titan Corbin Tremblay who recently graduated from the RCMP Academy in Regina! He will join the Surrey BC detachment as a full time constable. Corbin joined the Titans ILWP program in 2002 and graduated from the competitive program in 2010. His career as a Titan included multiple provincial championships, and he was part of the 2009-10 team that brought home silver from the 18U National Championships. He most recently played for the Ottawa Major League Team until February 2016 when he departed for Regina.Congrats again and Good Luck! July 28th, 2016 - Junior Panamerican Championship Gold for a Titan! Titan Aleksa Gardijan wins Gold! Ontario's U16 team which included 4 Ottawa Titans players as well as U16 Ottawa Titans coach Andras Szeri who was elected to be the Ontario U16 coach just won gold at the John Hale Tournament in California! The four Titans players included tournament MVP Bogdan Djerkovic as well as Diego Gonzalez, Noah Parks and Leandro Velazquez. The team won all five of their games including a 9-6 win in the final. Congrats Boys! Titans Heroes Cup 2016 - our 4th annual beach water polo event! Book it off! The Titans Heroes Cup is happening again for a fourth straight year! 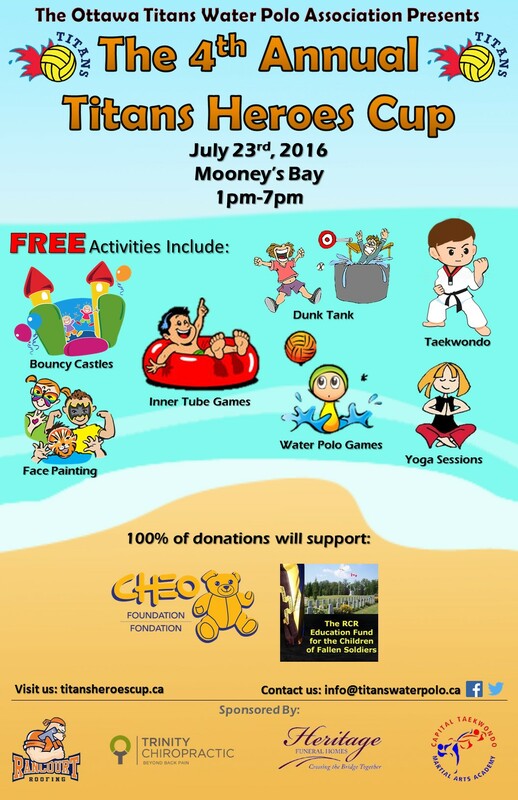 This charity event is free, and it is happening on July 23rd, from 1-7pm at Mooney's Bay. Activities will include: water polo, volleyball, yoga, taekwondo, bouncy castle, dunk-tank, face painting, and more! All donations received will be split between the Children's Hospital of Eastern Ontario and the Royal Canadian Regimen Education Fund - see donations information. Come join and have some fun! The Ontario Water Polo Association is proud to announce the coaching staff and team for the summer of 2016:Our very own U16 coach Andras Szeri , will lead our Men’s program with over 20 years of coaching experience and 5 of our Titans boys were selected:Nikola Cugalj, Bogdan Djerkovic, Diego Gonzalez, Noah Parks and Ion Pop. Congratulations and good luck! You make us really proud! Go Titans! The Ottawa Titans Water Polo club is looking for an energetic, outgoing person to join our team and support our summer programs! This is a seasonal position (between early June and late August), and you will have the opportunity to help with daily club operations in addition to contributing to our annual charity benefit – the Titans Heroes Cup. Further information available within this document. Interested candidate should contact info@titanswaterpolo.ca before Friday, June 10, 2016. It's official, this year's annual awards banquet will take place on Saturday, June 4, 2016, at the Serbian Community Centre (1989 Prince of Wales Dr.), and you are invited! Please mark your calendars. Details to follow shortly. Ottawa Titans NCL U16 boys take home Bronze from the National Eastern Championships! Winning 8 to 6 over CAMO! What a great end to an awesome season! Bogdan Djerkovic and Simon Nadeau were named to the All Star Team! Congratulations to our Titans U14 Boys team which traveled to Etobicoke on April 22-24th to participate in the U14 Eastern National Championship. The boys drew a tough pool facing the two teams who would eventually meet in the Gold medal final, the Lasalle Tiburon and the eventual winners, Mavericks. Both games were hard fought with our boys putting up very respectable performances against strong opponents ultimately finishing third in their pool. In their quarter final draw, they were once again pitted against the KW Inferno. The Titans took a 2-1 lead into the fourth quarter, then were able to tie the game at 4-4 with just over a minute left. With several possessions in the last minute the game was decided on a last second shot by KW with 0.8 seconds to play making them 5-4 winners. Next up were 2 games against Les Étoiles de l'Est from Montreal to decide fifth place. The Titans boys came away with resounding, 13-1 and 10-1 victories ending their weekend on a very high note. A great ending to a great year for our U14 League team! We are so proud of all of them and a big thanks to all the parents who helped and a very special thanks to Coach Blake who was named Boys U14 Most Valuable Coach by Water Polo Canada! Titans are U12 Provincial Champions! Congratulations to our U12 Titans team which captured GOLD in convincing fashion at the 2016 Ontario U12 Provincial Championship! This past weekend (May 28-29th) the Ottawa Titans were able to send a team to the U12 Championship in Waterloo, Ontario. The team was a mix of experienced U14 veterans and some newer players who recently joined the Academy Program. The Titans drew the KW Inferno Black, the Hamilton Waterpolo Club, and the Mavericks Red in their pool. They were able to secure solid victories versus Hamilton and the Mavericks and were able to pull out a nail-biter against KW in their head to head match-up to ensure a first place finish. Their crossover game against the veteran Mavericks Black team was another close affair with the Titans ultimately winning 8-4 setting up a rematch with KW Black in the Gold Medal game. KW put up a valiant effort but the Titans were ultimately able to pull away thanks to superb defense and goalkeeping and clinched the Gold with a 9-2 victory! Adding to their jubilation over the win was the naming of Andrej Gavric as the weekend's Male MVP. Congratulations to Andrej and all his teammates: Tomas, Jackson, Daniel, Liam, George, Alex, Maria, Saari, Eva and of course Coach Blake who was sent for a swim by his players after the award ceremony! (they soon followed him in). Congratulations to all our athletes (and their proud parents)! Team Canada is currently in Trieste, Italy competing for a spot in the 2016 Rio Summer Olympics. Four of the national team players were coached by Titans coaches. John Conway (attacker) was a member of the Titans U18 boys team that won the 2008 national championship title. Dusan Radojicic (attacker) was a member of the Titans U16 boys team that won the 2009 national championship title. David Lapins (centre forward) was a member of the Titans U18 boys team that won the 2008 and 2011 national championship titles. While head coach of the Club Water Polo Gatineau, current Titans U16 boys coach, Andras Szeri, coached the Gatineau U16 boys team with national team goaltender, Dusan Aleksic in nets to the 2007 national championship title where Dusan was also named Most Valuable Goalie (MVG) of the tournament. As of April 6, Team Canada stands 2-2-0 in the preliminary round. The next game is Thursday, April 7 against France. You can follow results and find live streaming links at www.waterpolo.ca. We wish our national team on-going success in the remaining games. Everyone is impressed back home! During the Titans-Gatineau high performance practice on April 3rd, Mr. Gabor Csepregi paid a visit to players and coaches. A former member and coach of the Men’s National Team program, Mr. Csepregi shared some of his experiences and provided some motivational words to our aspiring young athletes. Mr. Gabor is the current Chair of Coaching Association of Canada and President of the Université de Saint-Boniface in Winnipeg. Before starting his academic career, he was coach of the Canadian Water Polo Team from 1978 to 1984. He participated, as coach, in the 1984 Olympic Games and, as player, in the 1972 and 1976 Olympic Games. Ottawa Titans hosted a presentation on sport related concussion for our competitive and academy groups (March 31st, 730PM @ Ottawa University). 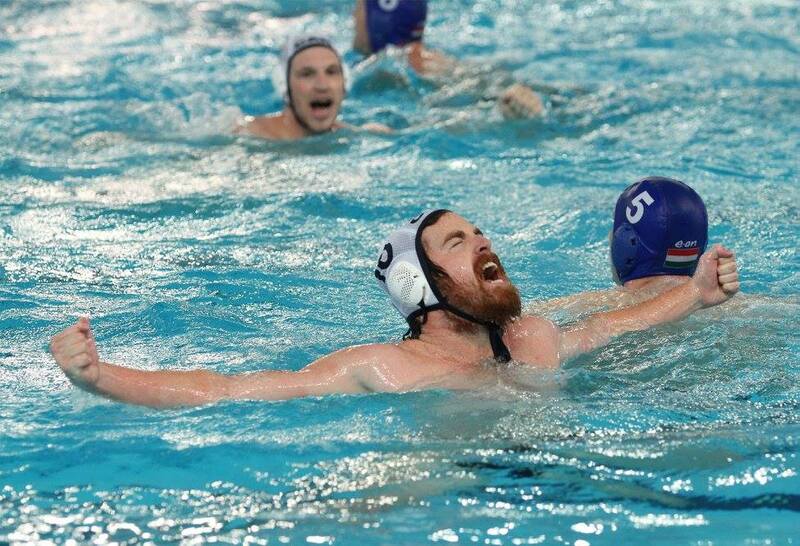 The content was specifically tailored for water polo by no other than Titans Alumni Logan Seaman! The program is supported by both the Queen's School of Medicine and the Queen's Center for Neuroscience. Presentation focused on what a concussion is, how to identify it, and what the stages of recovery are. The presentation was geared towards water polo and how to play in a way to minimize the risk of injury. 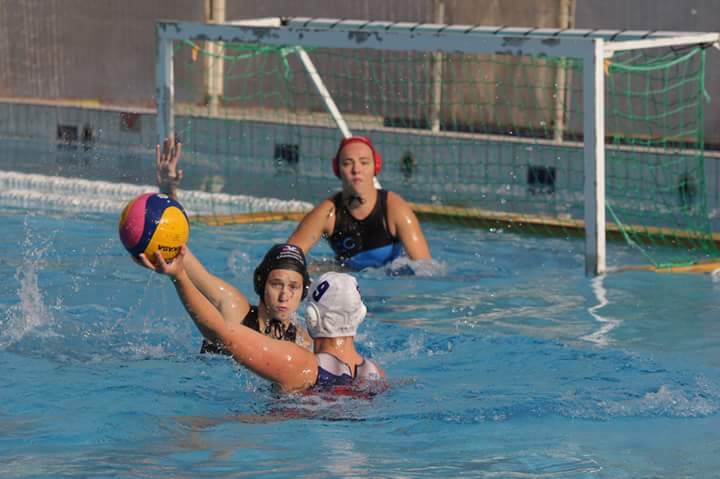 As long time Titans member Lotte Hurrelmann (yes Yorek’s sister ) continued her schooling in Germany she caught the eye of Germany Water polo National team scouts and just finished playing World League game for German Senior National Team. In addition Lotte is member of team that will enter Olympic trials this March. We will see her on pool deck in Ottawa in few weeks as she comes to visit her family and stops by to say hello to her Titans family. Titans U16 Boys are traveling this weekend to Markham for the last National Championship League season games before the Eastern Finals, which will be held at the and of April. You can check the games schedule, results and standings at Water Polo Canada web site. Please follow the link to Titans Cup 2016 page for more details.